Cave Explorer is a small roguelike game made for the 37th Ludum Dare. You play a character that tries to get as deep as possible into the caves without dying. 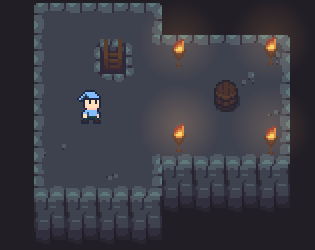 Fight your way to the deepest levels of the procedurally generated caves. Make sure that you don't die; you will have to start again! Use <WASD> to control your character and use <Space> to attack. Thank you! :) I do plan on expanding it further.